Well...the drone tax is back. When the FAA lost a case for mandatory registration of all RC aircraft over 250 grams (including recreational drones) earlier this year, the plan was shelved for the time being. Rather that fight another legal battle, the FAA managed to get the mandate lumped into H.R.2801 - National Defense Authorization Act for Fiscal Year 2018 that was just signed into law last week. It is buried deep in the bill under section 1092 part(d) - Collaboration Between Federal Aviation Administration And Department Of Defense On Unmanned Aircraft Systems. "Big Brother" wants to have control over everyone and everything. He already has control over everyone and everything. He just enjoys rubbing it in our faces with every move he makes. Never had to register any of my radio control aircraft in the past...I don't own a 'drone' anyway, what concerns me is their indiscriminate and virtually hidden use of them to bomb and kill everyone in countries worldwide. Yeah, I dislike and completely distrust big brother, I learned this from my experience in the Navy. I'll let it go at that. I THOROUGHLY enjoy your sharing your laboratory experiments/experience via blogger and you tube. STILL eagerly watching land there and trying to get the funds together to purchase it asap. Wet/swampy/cold weather here is preventing me from emptying the barn of what few things I have in it before the sale goes through. Mud and high weeds on a hillside is not conducive to wheelchair operation. 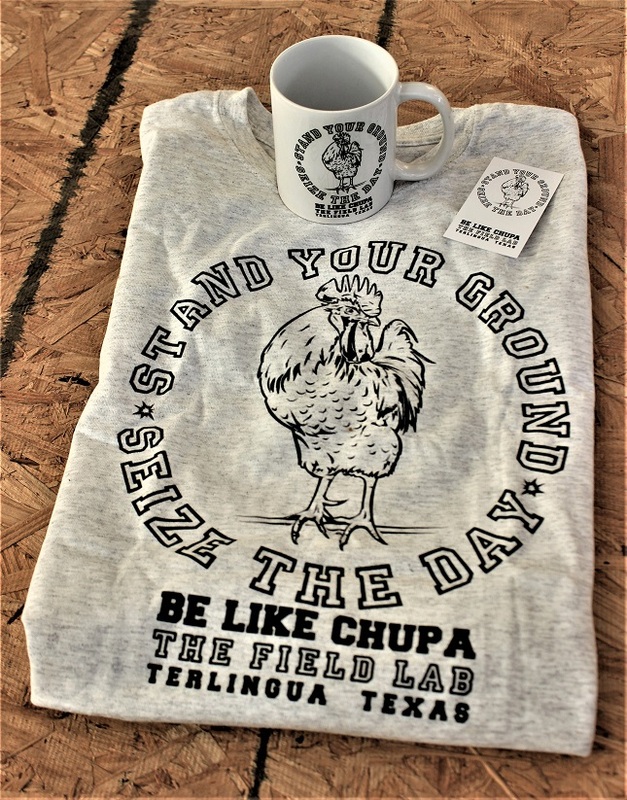 Hey Mr. Baxter - very rare to find any "wet/swampy/cold weather" on the TERLINGUA RANCH. However, as having owned property there for in excess of 40 years - I want to assure you there is plenty of the exact opposite. And in the summer - it gets extremelly dry & blazingly hot. In fact - if you are even remotely considering year round living at this rather remote location - I would suggest renting a local motel for at least a two weeks - during July or August - to check how well you like this exact opposite of weather conditions. No kidding - I now only venture into that hostile climate after things cool down in October & November each year. Tried some summer living there without air-conditioning - but had to relocate to north of Alpine to an air-conditioned motel or get a divorce from my wife. Of course - you may be a lots more tolerant of HOT WEATHER than I am. If so, just disregard my comments. Render unto Caesar.....everything belongs to them, everything you have is at their sufferance and at their will. I rendered unto Caesar the next morning and registered online. re: " unique numbering identifiers" perhaps not unlike licenses for cars.. and serial numbers on guns. Was surprised to hear that if Johns guns were stolen and used in a crime that the Feds would have no way of knowing that... is that true? Seems like BATF actually has that info but it's on paper and not a database? cars crossed over the "registration" line a long long time ago and now a primary way of tracking people is the car... with the plates.. and ... I'm hearing that people on the run - rather than not having plates (which would draw the police) are putting bogus plates on the cars so that those license-plate readers... lose their effectiveness..
but on the drones.. is that "identifier" on the drone itself like a serial number and does the drone itself "broadcast" that number when it is on? You can see the problem already... in a fire in California they had to stop water-dropping planes because of drones of unknown purpose and owners were in the area. It's becoming a problem at places like airports , prisons.. nuclear plants.. you name it..
right? I imagine we're going to eventually have any unidentified drone - destroyed and the operator if found - fined out the wazoo..
registration of the drones... is going to end up on a national database.. and I again wonder if the rules requires drones to "self-ID" on electronic broadcast. can you own a drone that has a weapon on-board? Maybe like a drone with an AR-15? probably a dumb question... anyone know? 1. The Bureau of Alcohol, Tobacco and Firearms is the only agency authorized to run a trace on a gun serial number to see if it has been involved in a crime or to find the owner. 2. I have to place the serial number I received from the FAA somewhere on the drone but the number is not broadcast. 3. The area near any wildfire or emergency situation is automatically considered a no fly zone for drones. 4. As of yet, drones do not have to "self ID" on electronic broadcast, but telemetry data for every flight is stored internally in the drone. Since FAA registration has been reinstated, I wouldn't be surprised if sometime next year there will be a mandatory firmware update from DJI that will require the FAA number to be entered - no number and the drone won't take off. The app used to control the drone already contains a database of no fly zones that won't allow flight in those areas unless you have special permission. but doesn't that mean that the serial number is delivered to BATF so they can "trace"? How would they trace otherwise? ... drones will get a version of the VIN we see on cars? seriously - isn't this a restriction on your ability to bear arms? I mean if you had a drone with a gun... people could not come on your property -threaten or rob you . that drone would just rise up behind the bad guys and say "drop it or you're dead meat"... right? I think the argument is going to be made that drones with guns are for "self protection".. I dunno how it will play out.. but it surely would be a restriction on the right to "bear" arms ... sorta like outlawing your ability to carry a gun in your own car? Since there is no federal database linking owners to guns, tracing is a systematic process of tracking the movement of a firearm from its manufacture or from its introduction into U.S. commerce by the importer, through the distribution chain, i.e., wholesaler/retailer, to identify a purchaser. Federal firearms dealers have to keep a record of who bought what gun but that list can only be accessed by the ATF in a criminal investigation. Upon further investigation it seems there is no specific law on the books (yet) that prohibit a civilian from arming a drone. On the broader question of the legality of arming a drone, the law prohibits recklessly endangering the public when flying an aircraft. Regulations also prohibit dropping an object from an aircraft in a manner that creates a hazard to person or property. There may be no federal law that explicitly says, ‘it is unlawful to arm a UAS and shoot bullets from it.’ But there's a strong argument that shooting bullets from a UAS would be considered illegal under one or more existing provisions that are designed to ensure safety. Remote controlling the firing of a gun from a drone is just a really bad idea. Any number of factors could lead to the bullet going somewhere it really shouldn't. Larry G: I am of the opinion our government has grown so large, unwieldy and undeserving of serious respect that attempting to remain compliant with their excessive rules and regulations has become a serious impediment to my unalienable rights to life, liberty and the pursuit of happiness. Therefore, both, the wife and myself have resolved to live as though we have the freedom and liberty we were promised, at least until we are caught and forced to face the consequences for our actions. So far so good. While our feeble government never shies away from creating reams of new legislation limiting the rights of their subjects, they have already gone so far as to make it impossible for themselves to actually enforce all their grand plans on us. I render unto Caesar an extended middle finger. okay... so the manufacturer says what store they shipped it to.. then you go that store who tells you who they sold it to... and then you have to go find the guy that bought it and if he sold it... etc, etc? re: "bad ideas"... for sure.. but tell me how many fools in this world do "bad ideas" ? we're not going to outlaw guns because stupid people do stupid things.. but clearly you think they should be outlawed? or am i putting words in your mouth? so I do wonder - if we think things like AR-15 with high capacity magazines are okay - why not a drone as long as the owner is also held accountable for it's use like we do right now with other weapons... OR .. is a drone with a weapon - more akin to a fully-auto weapon or a stinger missile, grenades, etc of the type of weapons we do outlaw? A civilian drone armed with a gun is just a stupid / dangerous idea and I see no reason to continue to debate this topic. I'm with JW on this. The overwhelming majority of folks who own drowns, buy the prefabricated ones, as they do not have the knowledge to construct one themselves. The said, prefab ones are in no way, powerful enough to lift/carry an effective weapon. ---- RONALD MAHAN, I worked in the power plant/engine room aboard the USS Nimitz in the early 80s. Wet bulb temps were 145 degrees average, with near 100% humidity as it is 600lb steam plant. We were allowed to wear only a t-shirt without the button up shirt on top there for obvious reasons in the med. I got used to it early on. Grew up w/o air conditioning and never had it until I got in the navy. I lived in Houston in the 90s and only used a/c when I was married, I spent little time indoors :). After I was paralyzed and we seperated, got my own place and never turned the a/c on except to run it a few minutes each month to keep everything going. My friends always sat out back under the trees when they came over haha. I LIKE it hot! That and the round the clock sun, flat terrain, REMOTE, etc., is why I want to move there. Just came back from signing papers on the sale of some land here. Cold, rainy, muddy, I do not enjoy this place. Have a friend that used to be in the Navy - on a destroyer... he talked about how you DID NOT sleep in the crew quarters if you wanted to not be covered in sweat the whole time. was not intended to be a debate but rather a devil's advocate proposition but I did manage to piss off John. my apologies... my bad. Congratulations Mr.Baxter! You have found one of the hottest & dry places in Texas. Welcome to desert living with a capital T. And it is also rather remote - which you said you were also seeking. Like Mr.Wells has told us - frequent visits to Alpine, Texas will be necessary for living supplies & medical facilities- and each trip involves at least a 140 mile round trip each time it is made. Many Tinajas Hunt Club' last night. I go for 140 mile trips here regularly, going up into Great Smoky Mountains National Park, Cherokee, etc. Since I can't hike, I like to drive through it and see it, enjoy it. I eat a vegan diet, am my own doctor and avoid those who 'practice' medicine. I set my own broke bones, stop the bleeding and seal/sew the gashes myself lol. I am the only T4 complete spinal cord injured person I know, who doesn't take any medications. God gave us a diet/health message, which if we follow, you can avoid most of what ails the general populace that ignore His laws. I don't figure I would need them any more than I do now, thank God. I have been researching the area, and viewing JWs history for quite a while now. I have practiced and taught quite a few trades. If man makes it, I can fix it, or make it better. Physically, I am limited because of my sci, but with a warm body that is willing to work,I may have to hire someone to dig post holes and put a roof up, most things are possible. I am thinking of living in a cargo trailer until I can get a tin roof up for water collection, and out of weather storage for my tools. That is one of my primary concerns, I have a lot of tools, made my living with my hands and the mind that God provided me with. "I can do all things through Christ, who strengthens me." Water collection is vital and using what God gives for free is the most economical. My brother and I talked a lot of property owners into building water catchments - and guzzlers to help ranch wildlife. Prior to selling Terlingua Ranch as real estate venture - the ranch had been primarily for ranching cattle - mostly during World War II. And the US government helped build a lot of stock ponds & wind powered water wells to keep those cattle alive in this desert. However - when the real estate developers moved in - they stopped repairing the stock ponds & sold the windmills & stopped a major source of water for much wildlife. The result was - that about ten years after the hunters moved into what was advertised as a hunters paradise - most of the large deer population was about gone. Due to much hunting pressure & lack of water. Then the ranch even quit leasing HUNT PARKS from the state of Texas. Don & I got interested in water catchments & guzzlers to have a huntable number of Doves & Quail on our property. And it also provides all our cabin water. Best thing weever did to improve our cabin & hunting!